My Tormek stone is getting mighty small and I’ve had my eye on these. I would like to hear more about your use of the wheel dry vs. with water: do you put water in the trough, or just squirt some with a spray bottle as needed? When used dry, how hot does the steel workpiece get? I imagine one does not leave the wheel soaking in the water! One big reason I’d consider the CBN is for sharpening my planer knives; any insights to offer on those? Great review, Rob. I own the first generation Tormek and don’t like it. The guide rod, for want of a better term, is flimsy. Getting a simple square edge is not assured. I don’t like having to true the edge of the stone. I see from various reviews that the company has improved all aspects of the equipment, making me reconsider getting a new version. The CBN wheel looks like the ticket for happy grinding. First, buy one, you’ll love it. The 200 works for my sharpening system but think about what would fit in your system. I’ve been using just minimal water – spray some on for brief work, or put barely enough in the trough to catch the wheel for longer working time. The water is just to control the steel dust. I do not leave the wheel soaking in the water trough. If you really bear down on the tool without taking a break, you can build up enough heat at the edge so it is too hot to touch, but I think this is far short of drawing the temper. As a practical matter, heat build up hasn’t been an issue, partly because the work moves along so quickly. 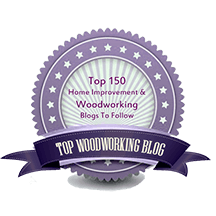 I admire your courage to sharpen planer knives! Of course, I want to say just get a Shelix cutterhead, you’ll love that too! I do not have experience with sharpening planer knives, but perhaps a little finer grit, say 400 or even 600 might leave the edge in a better state from which to work on the secondary bevel on stones. My Tormek is vintage 2000. 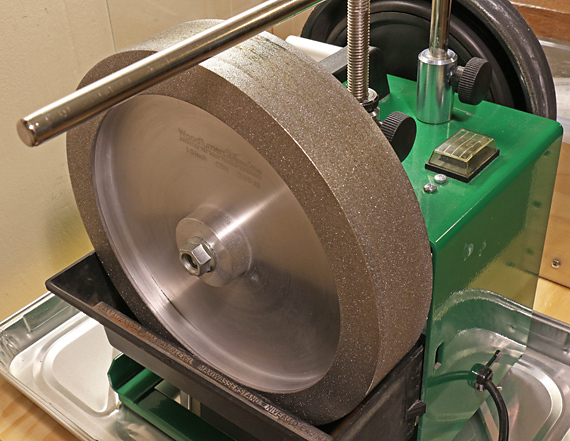 Yes, the bar can bend a bit, but I think you’ll find this is not an issue because you don’t have to put much pressure on the jig and tool when using the CBN wheel – especially the 200. Also, the SE-77 jig is wonderful. See my post on that. It is discussed by Charlesworth and others, rightfully, for its ability to create a controlled amount of camber on plane blades. However, the very same adjustment screws also are used to correct the blade edge’s squareness to to wheel face, and it works beautifully. I’d hold off on the $$$ (overpriced) for a new Tormek. Call or email me and we can talk it through if you want. I enjoy any insight that allows me to expand the tooling that I already own but I am rather mystified as to why you aver that the Tormek OEM wheel is too slow. I want a slow wheel to reliably remove the minimum amount of steel necessary to establish a desired bevel with a zero radius edge. If I wanted fast I would go back to freehand sharpening on a grinding wheel. I understand that turners don’t need the same degree of ‘polish’ on their edges as real woodworkers so again I am confused as to why you are touting this. The advantage of not having to true the wheel seems like a minor advantage as much as the fact that the CBN wheel cannot be retrued is a disadvantage. Perhaps I am too accustomed to waterstones at my advanced age to reconsider methods. The flat of the wheel might have real advantages but you don’t tout that. I look forward to any more commentary on this newly found setup. If the Tormek OEM wheel meets your needs, great. It’s a matter of personal preference. Some woodworkers don’t like any motorized grinder. I do think many Tormek owners will appreciate the advantages of the CBN wheel as I have discussed. 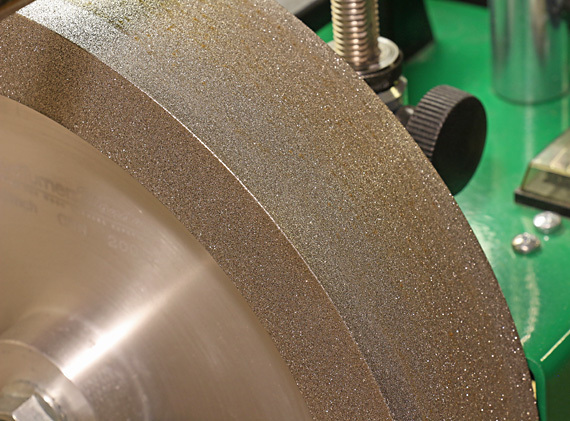 I like that the CBN wheel grinds significantly faster than the OEM wheel but not as fast as 1725 or 3450 grinders, which have their own disadvantages. As you know, there is a range of speed among motorized grinders of various sorts with each having advantages and disadvantages. The CBN wheel does not need truing or re-truing. It’s good from the start and stays that way. Yes, the flat sides of the CBN wheel are handy. I most recently used this feature to quickly correct the bottom of a router plane iron. By the way, I do not turn but I consider turners to be real woodworkers. First of all- Rob thank-you for writing that article. We have a lot of happy Tormek Style (our Tornado ) wheel users out there. I just wanted to clarify something about the water use. The way Rob is using his is fine but do not leave them running in or sitting in water as the filings will corrode (or worse) the wheel. Make sure the are dry when done or use no water at all. They are constructed of 6061 Aluminum and 70% of the heat goes into the wheel anyway. You’re welcome, Ken. Thanks for the tip about the use of water. Now I think I’ll not use the trough at all. I’ll just spritz the wheel with a little water, which is what I’ve been doing most of time anyway – just to help control the steel dust. Or I’ll just use it dry. Bottom line, readers, is that the CBN wheel makes work at the Tormek go much faster and easier, without the hassles of the OEM wheel. I did some more experimenting and found that just two or three light spritzes of water on the wheel is sufficient to keep the steel dust contained. I’m done grinding before this small amount of water evaporates a few minutes later, leaving the stone dry. I will not use water in the trough at all. To emphasize, heat build-up on the tool is not an issue and therefore, that is not the reason I use the water. Thanks Rob and Ken for your replies. This sounds really good! Rob, I wouldn’t have started grinding my own knives but my preferred local sharpener went out of business and then I got a deal on a used planer knife jig for the Tormek . . . it is rather tedious, exacting work, involving weighing the knives so they’re within a gram of each other (!!!) 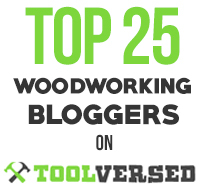 but I can do the 3 15″ knives for my planer in about an hour and a half – – – results are excellent. And I agree about the carbide insert cutterhead, the Byrd Shelix is on my wish list! The CBN would fit seamlessly into my sharpening regime, which is simply to grind at 25 degrees once in a very long while, when needed, and hone on waterstones at 30 degrees. Sounds good, Jim. I think you have more patience than I do at the sharpening bench.